Adult Lessons help you gain confidence and master the basics with a Snowy Range pro. Built around the group lesson you’ll be matched with other skier and riders of similar ability level skiers. Have fun! Teen Lessons are a fun way for your teen to meet new friends and refine their skiing or riding skills. Our instructors make all the difference in this program. All-Day Lessons include lunch. Snowy Range specializes in youth lessons (5-12 years). 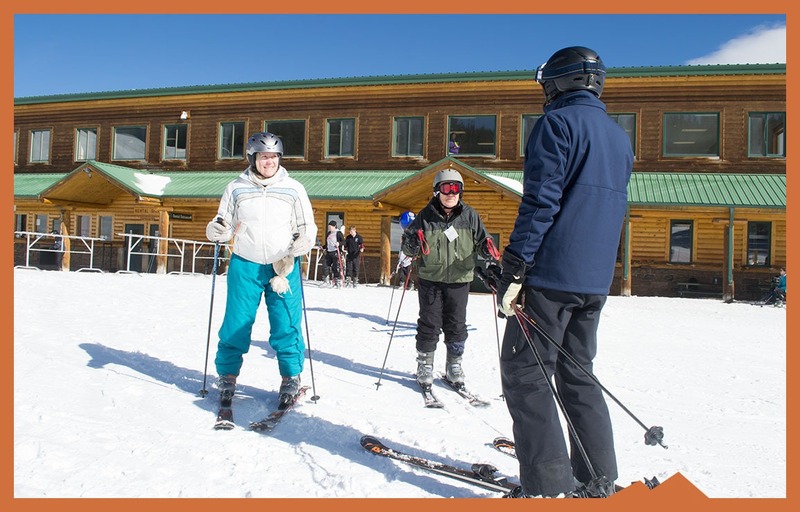 Our instructors make learning fun, with an emphasis on the fundamentals of skiing and snowboarding. Child Lessons (3-4 years). All-Day lessons include lunch. Pricing is online only. Walk-up lessons will be a 20% increase. Lesson Packages include 2 hour lesson and full day lift ticket, rentals & helmet. Lesson Only does not include lift ticket, lesson, rentals & helmet. Lift ticket is required. 3 and 4 year olds are required to be in a private lesson. Discounted lessons available for seniors. Online reservations, including Lift Tickets, Rentals, Lessons and Lesson Packages will be assessed a $25 flat fee if canceled 24 hours prior to intended date of use. Inside of 24 hours or after the date of use no refund will be offered. If you do not use the reservation you may redeem on a different date, but you must contact the Snowy Range ticket office within 24 hours of the intended date of use. Online tickets expire at the end of the selected date. Online tickets may not be purchased on the day of use or at the Snowy Range ticket office.